How to enable Multi-Threading feature in Excel 2013 to speedup calculations? Microsoft Excel 2013 comes with a Multi-threading feature that can reduce the time taken to calculate complex formulas. If you have multiple processors in your computer, then turning On this feature will let Excel to make use of multiple processors to perform the calculations faster. What if your computer doesn’t feature multiple processors? Then you can follow this guide to disable automatic calculations performed whenever you open a worksheet or make any changes to the formulas. For the rest who own powerful computer, here’s how you can enable Multi-Threading feature. 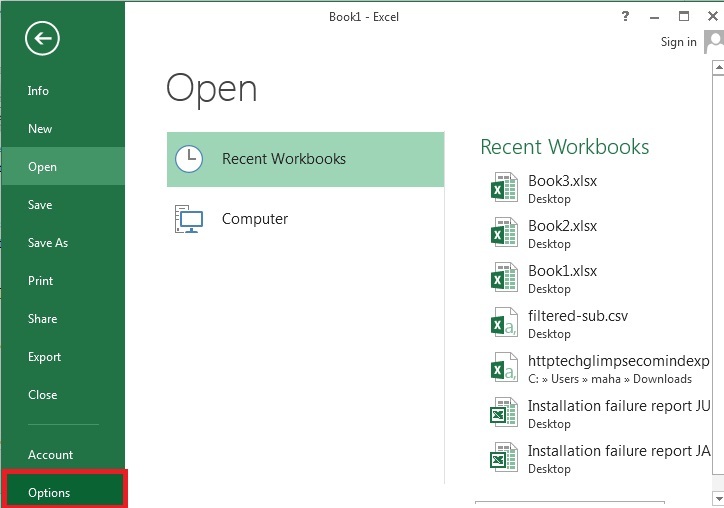 Step 1: Click ‘FILE‘ and select ‘Options‘ to open Excel Options dialog box. Step 2: Select “Advanced” from the ‘Options‘ dialog box. Step 3: Scroll down to “Formulas” section and check ‘Enable multi-threaded calculation‘. You can manually specify how many threads to use or let Excel to use all processors available in your computer. Remember, if you have many programs running on your computer, then you might have to give them some space in the CPU. Checkout : How to disable automatic calculation feature in Excel 2013 ?